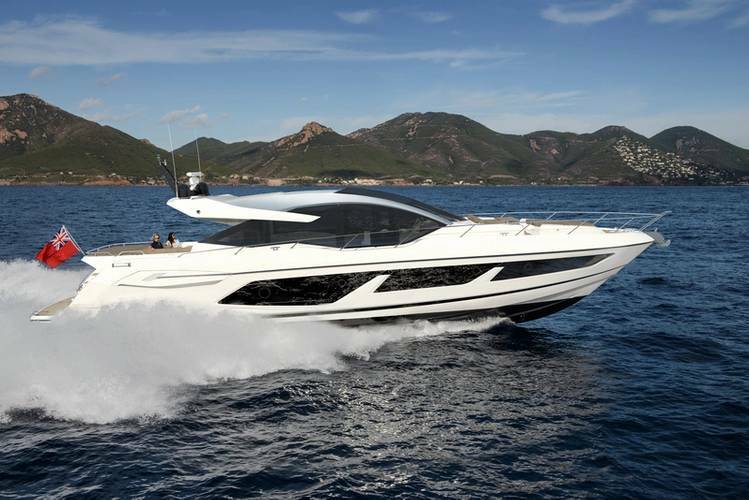 Sunseeker were putting on a big display at the Southampton Boat Show, both on and off the water. Lead singer of iconic British band Duran Duran, Simon Le Bon, was the star attraction off the water as Sunseeker’s special guest at this year’s 50th anniversary show. While on the water Sunseeker displayed all its seven models – 86 Yacht, 76 Yacht, Manhattan 66, Manhattan 52 and Predator 57 – but the star attractions were the UK launch of the Predator 50 and a show debut for the top of the range Predator 74. The Predator 50 is marketed as the entry level for the range, but it is far from sparse in terms of its specification. 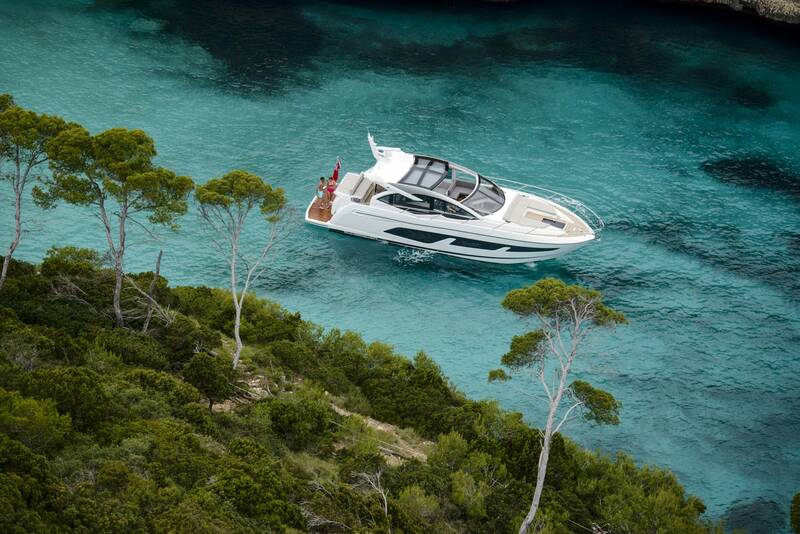 While the Predator 50 boasts impressive design and luxury, performance is still at the heart of this sports cruiser which is fitted with the new Volvo Penta D8-600 engines mated to shaft drives with optional electric steering and joystick maneuverability. 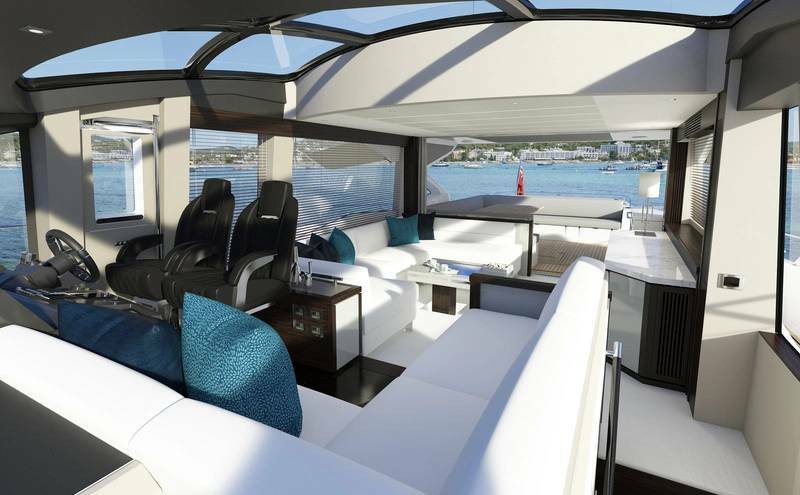 The design is enhanced by the addition of a fully opening hardtop roof and cockpit glazing providing an open plan cockpit. This is complemented by forward and aft cockpit seating that can be folded down to create an enlarged sunbathing area. 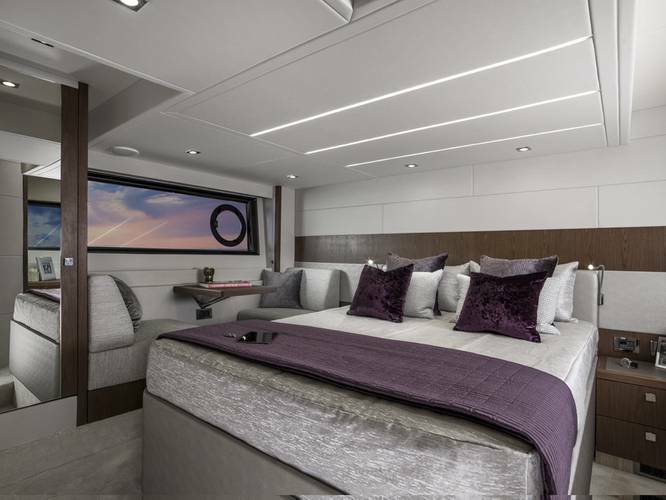 The interior is just as striking, with a combination of fine materials and large windows ensuring the full-beam master stateroom, which comes with a generous en-suite, achieves the perfect blend of comfort and elegance. Making its show debut was the largest Predator model. 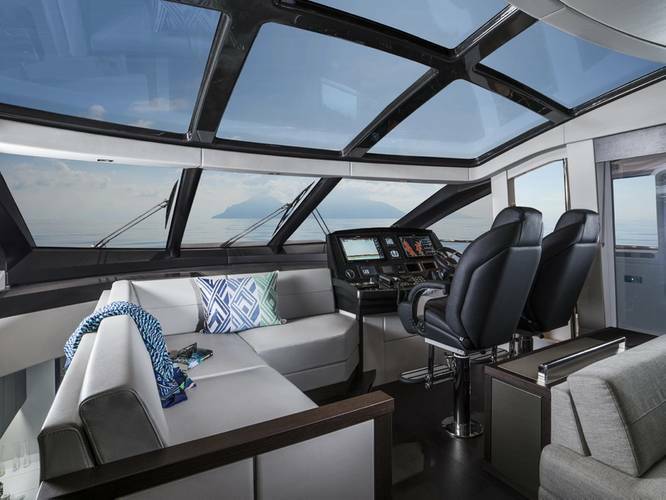 Central to its appeal, the cleverly engineered cockpit door mechanism allows it to open conventionally, but also lower itself into the sole of the yacht. Depending on the owner’s wishes, the Predator 74 can be transformed into an ‘open’ yacht in warmer regions or a ‘closed’ yacht in cooler climates. 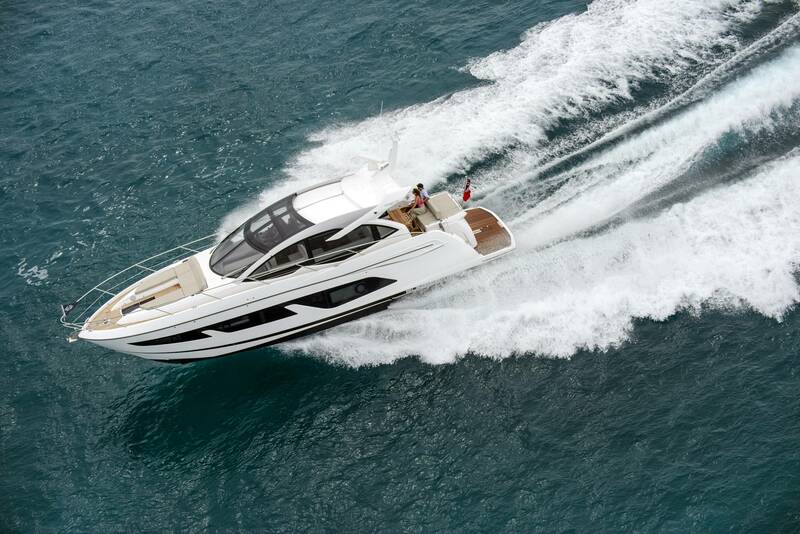 In action it pierces through the waves, powered by MAN V12 1550 horsepower engines which give an impressive top speed of up to 35 knots. 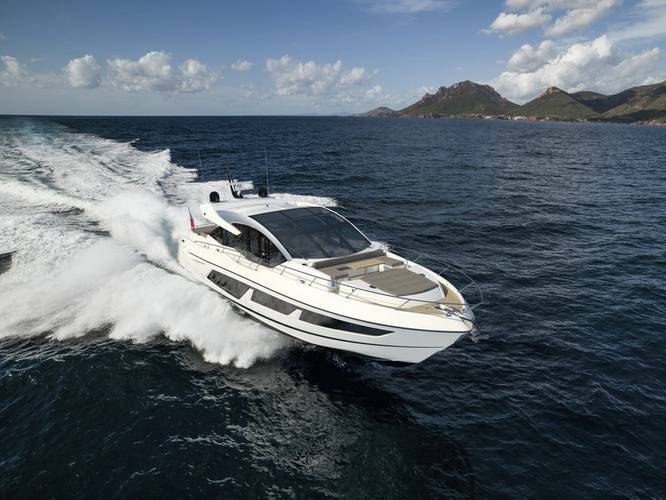 Alternatively, for the thrill seekers the performance engine option with the MAN V12 1900 engines offers a top speed of up to 40 knots.